It is rare for a literary critic to remain alive for readers decades after his death—even rarer than for a novelist or a poet. 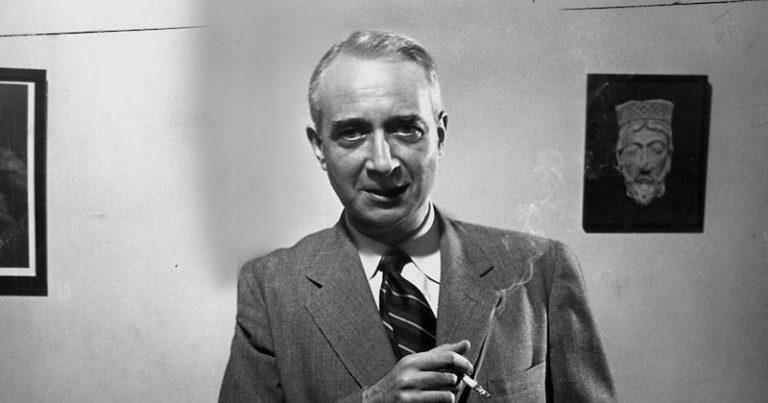 Lionel Trilling (1905-1975) belonged to what Randall Jarrell called “the age of criticism,” a time when the analysis and judgment of texts had a prestige that is hard to imagine today. Many of the leading figures of that golden age appear in the correspondence collected in this volume, as Trilling’s friends, colleagues, or antagonists. But only a few of them are still in print today, and fewer still have the ability to inspire devotion or argument. If Trilling is the exception, it is because his own position in the age of criticism was exceptional, even anomalous. He was not, like the New Critics Allen Tate and John Crowe Ransom, a close analyst of textual strategies—one reason why he seldom wrote about poetry. He was not a journalist-critic like Edmund Wilson and Alfred Kazin, helping to shape the public’s taste for new books and writers. Nor was he, after his first book, a literary historian like Newton Arvin or Leon Edel. Trilling, too, writes at what he famously called “the bloody crossroads” of literature and politics. When he discusses Orwell’s honesty, or Keats’s affirmativeness, or Forster’s rejection of greatness, he is describing literary qualities that are at the same time visions of life and society. Yet what Howe goes on to say about the prose style of the New York intellectuals—that it was “nervous, strewn with knotty or flashy phrases, impatient with transitions and other concessions to dullness, calling attention to itself as a form or at least an outcry”—does not at all describe Trilling’s work. Rather, his style is grave or elaborately ironic, impersonal, and authoritative, owing much to the Victorian sages who were the subject of his early academic study. One way of describing Trilling’s distinctive quality as a thinker and writer is to say that he was a hybrid of the 20th century radical intellectual and the 19th century liberal moralist. This is why he was so acutely aware of the tensions that arose when liberalism evolved into radicalism, as it did for many American intellectuals in the 1930s and 1940s. Trilling’s only published novel, The Middle of the Journey, published in 1947, was a dramatization of this confrontation; his essay collection The Liberal Imagination, which followed three years later, analyzed the same issue, in texts ranging from Henry James’s The Princess Casamassima to the Kinsey Report. The great value of his correspondence is that it shows him involved in constant inquiry about literature and public life, and about his own proper place in each. 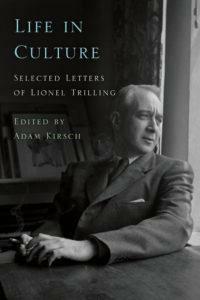 It is in this large and profound sense that Lionel Trilling’s life can be described as a “life in culture.” It is not simply that Trilling was “in culture” as a field, the way other people are “in business” or “in medicine,” though it is true that he worked in several areas of the culture industry, not just as a teacher and writer, but as a participant in radio and TV discussions and as the editor of a subscription book club. Rather, his thought was an exploration of what it means to live in culture—as a set of assumptions and values governing individual life, and a set of transactions in which human potentialities are gained and lost. As this suggests, Trilling’s exploration of literary and cultural questions would not be so dramatic and compelling if they were not questions he asked himself as well. He was acutely aware of the irony involved in becoming an icon of culture, because he knew well that life in culture comes at a cost. In his own life, he experienced this cost as the sacrifice of creative work for critical writing, and of personal experience for respectability and achievement. Indeed, Trilling’s life was seldom outwardly dramatic. Born in New York in 1905, he lived in the city for his entire life, with the exception of an early year spent teaching at the University of Wisconsin and a few later years at Oxford. His life in New York revolved around a single institution, Columbia University, where he was an undergraduate in the early 1920s, a graduate student in the 1930s, and a teacher for four decades, until he retired with the highest rank of University Professor. He was married to Diana Trilling in 1929 and remained married to her until his death in 1975. His days were filled with teaching, reading, thinking, and writing—quiet, sometimes invisible activities. Yet the life in culture he led during these decades was as active as could be. The great value of his correspondence is that it shows him involved in constant inquiry about literature and public life, and about his own proper place in each. From the young radical issuing demands to the New York police commissioner, to the committed anti-Stalinist challenging the pro-Soviet policy of The Nation, to the senior professor reckoning with student rebels in 1968, Trilling remained engaged in American culture and its battles. Some writers, as Trilling says in his essay “Reality in America,” are “repositories of the dialectic of their times—they contained both the yes and the no of their culture, and by that token were prophetic of the future.” Trilling himself was one such writer, and he lived the tensions he wrote about: between activity and quiescence, self-assertion and humility, creation and criticism, revolution and respectability. As Trilling noted in a 1961 memorandum, his business and professional correspondence was enormous—he estimated that he wrote at least six hundred letters a year—and his archives attest to the diligence with which he answered invitations, provided evaluations and recommendations, and shared information with inquiring strangers. For this volume, I have selected what seem to me the letters of greatest biographical, intellectual, and historical interest. [. . .] These letters will shed new light on Trilling’s life and relationships, as well as on the overlapping worlds in which he lived—the worlds of American letters, left-wing politics, academic scholarship, and New York intellectual debate. My hope is that Trilling’s correspondence will help readers to better appreciate the “variousness, possibility, complexity and difficulty”—to use his own phrase—of this important and inspiring thinker. From Life in Culture: Selected Letters of Lionel Trilling. Used with the permission of Farrar, Straus and Giroux. Copyright © 2018 by Adam Kirsch.